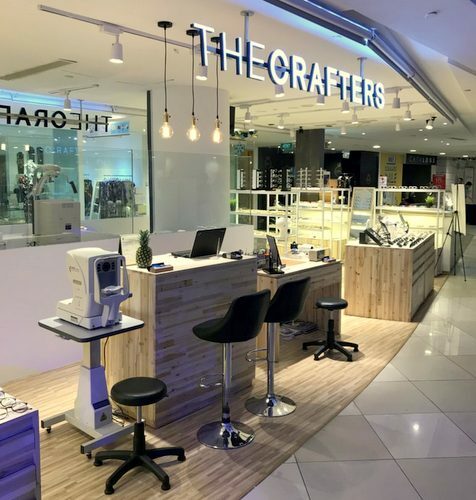 Optical shop The Crafters Optical operates within Singapore’s 112 Katong mall, at 112 East Coast Road. The Crafters Optical is a Korean inspired optical brand has crafted a niche standpoint of its own within the industry, as an exclusive eyewear fitting experience that you can always trust. Opticians and the optical store itself are fully equipped and trained for professional, comfortable service ranging from eyewear fitting to frame cleaning, routine adjustments, eyecare routine checks, and comprehensive eye tests. Frames and sunglasses at the store are carefully curated and include unique & novelty designs to satisfy the out-of-the-box thinkers who wish to maintain their individuality. The official The Crafters Optical Facebook page is located at www.facebook.com/TheCraftersOptical/. You can also follow the official The Crafters Optical Instagram account, which in turn is available at www.instagram.com/thecrafters_optical/.